February is all about celebrating our loved ones and we love celebrating family, particularly our extended family at Moran. 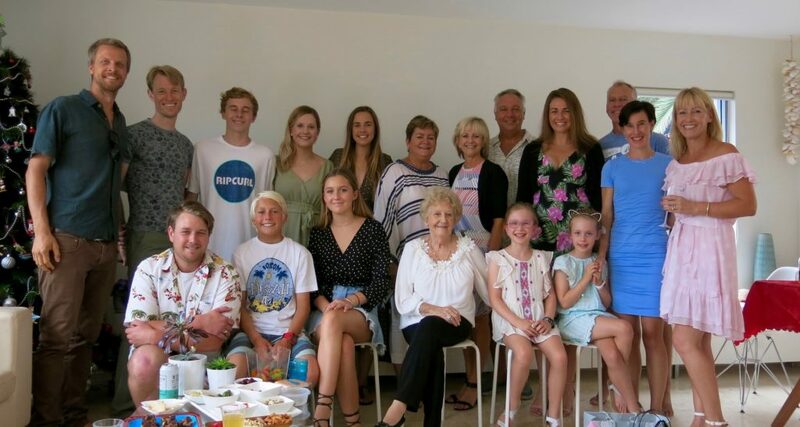 You may have heard of the Four Generations challenge where families film their many generations in one room. It’s been a hit with families all over the world who are gathering their generations and celebrating their connection to each other. Take a photo or short video of one person (or more) from each generation of your family, together. Either post it on our Moran Aged Care facebook page or email it to us at info@morangroup.com.au and tell us how many generations you are celebrating in your family. If you don’t have access to the internet take your printed photo to reception who will scan and upload it for you. We’ll share it with the rest of our Moran family and make some beautiful memories. Gwen Powning celebrating Christmas with her four generations of her family. Gwen has 3 daughters, 8 grandchildren and 2 great grandchildren.